Posted on July 8, 2014 by J. The stage director has a number of functions. She chooses the tone of the play and makes sure that every aspect of the production supports that tone. She identifies what she thinks the playwright is trying to say, and makes sure that all the actors’ choices are consistent with that point of view. She is in charge of the mise en scene, and in that role plays traffic cop. She is the Big Picture artist of the production. Actors are little picture people. She controls the scope and feel of the evening. We are responsible for the moment-to-moment details. In other words, she’s a film editor for the stage. Having a strong sense of the big picture is an essential ingredient in a quality director. The ability to attend to detail is an asset, but it isn’t critical. You can be a very good director if you have people around you to handle the details. The reverse is true for actors. The more you can work with the minutiae of what happens in a single moment (giving oneself over to it without overthinking it, that is), the better your work is apt to be. If you can also see the big picture, so that you can tailor your work to intentionally enhance the grand scheme and ease the director’s burden a little bit, then your performance is apt to scale some impressive heights. But it isn’t necessary, because the director is your film editor. 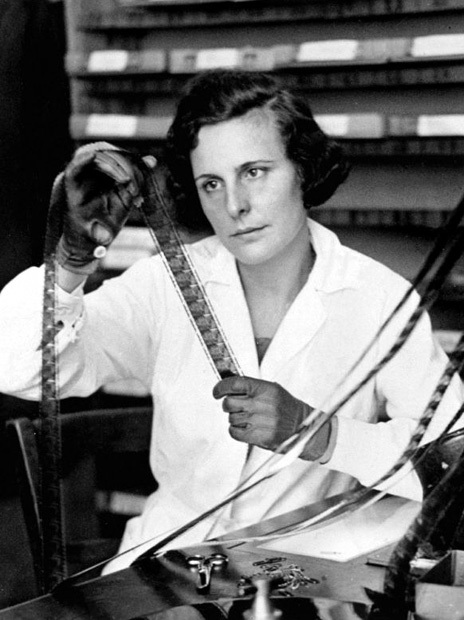 Unlike a film editor, who works after all the filming has been completed, the stage director does her editing throughout the rehearsal process. That means that you, as the actor, need to provide her with quantity of film to select from. Take after take. And each take should be a little different. Each take should offer something slightly (or majorly) different to the director. Your job is to provide choices. Now, truthfully, you’ll do a lot of the editing yourself. You’ll try stuff in rehearsal and realize this works and that doesn’t, and select accordingly. But there will be times, as in The Rainmaker scene I’ve cited, where you may try two materially different approaches, and both seem to work on some level. What to do? Which to choose? How do I know what’s right??????? You don’t have to. The director will. Isn’t this a beautiful system? You don’t have to worry about it. The obvious choices? Go ahead and make them. The ones that panic you so much that you think you have to make them early and often? Let the director shoulder that responsibility. That’s what she’s there for. And this frees you up to try everything you can think of. Because a good director will give you immediate and solid feedback about what works and what doesn’t. Good feedback, I believe I said, speeds the learning process. So you don’t have to worry that you won’t get it all done in time. You will. This entry was posted in Acting, Creativity, Directing, Rehearsing and tagged Acting, acting technique, Actor, Community Theater, Rehearsing. Bookmark the permalink.